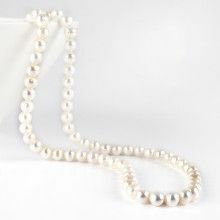 Everyone needs a pearl necklace in their jewelry box! 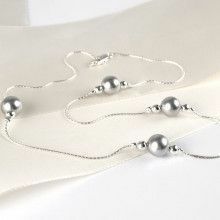 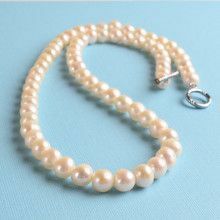 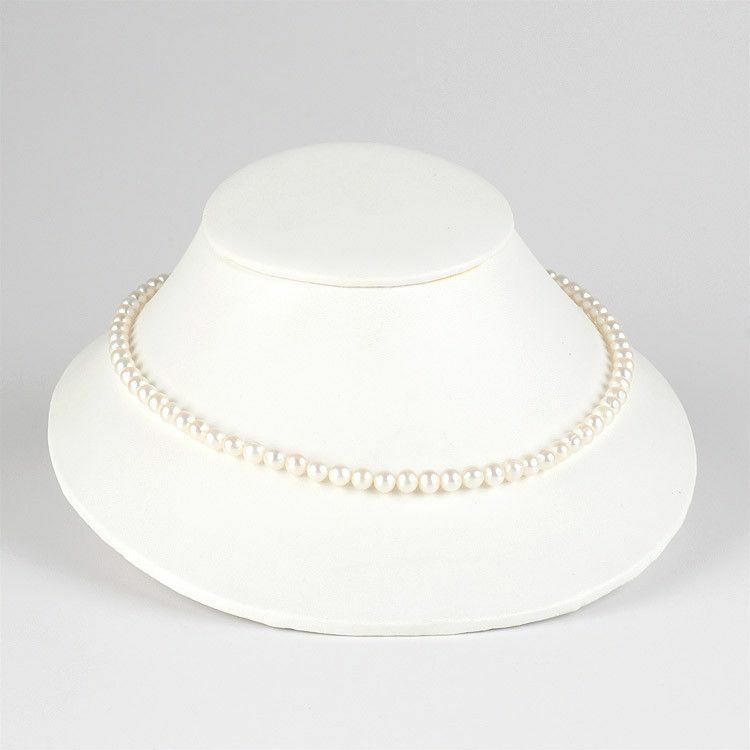 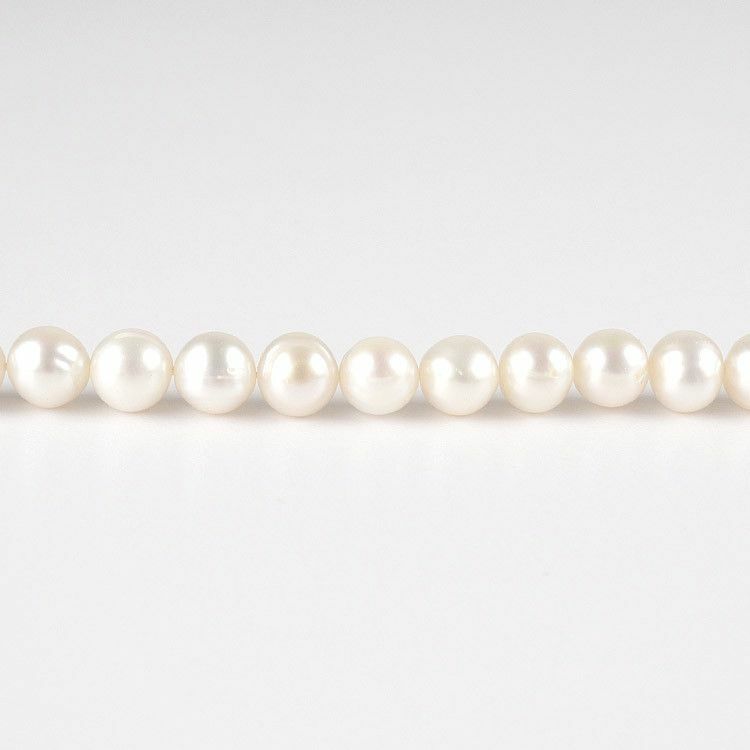 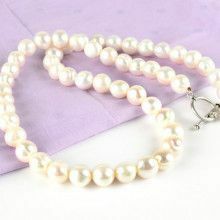 This particular pearl necklace features about 22" of white freshwater pearls that are about 1/4" in diameter. 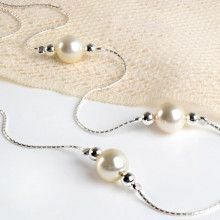 They are great for dressing up, and they never go out of style. 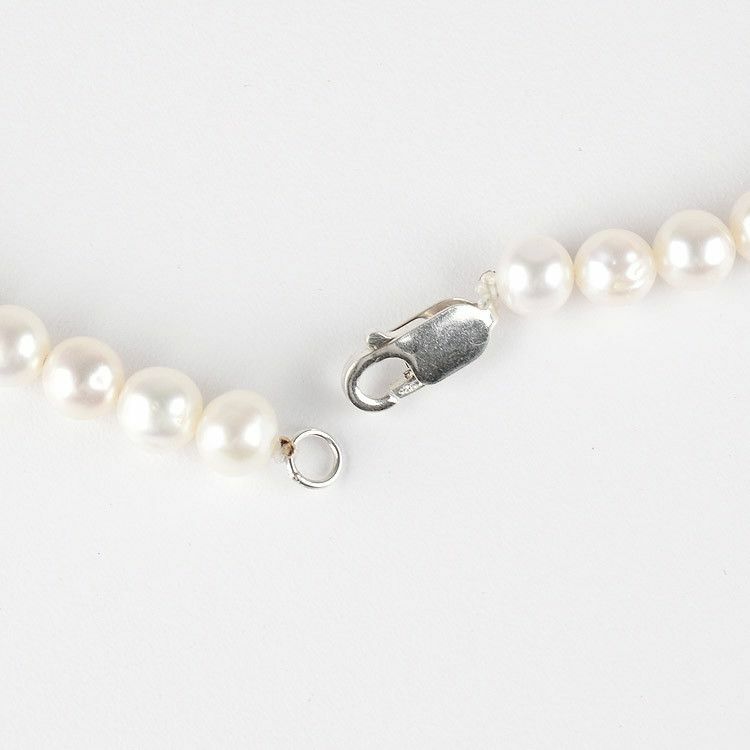 A silver lobster claw clasp completes this necklace.